Jordi Serra received his medical degree from the University of Barcelona and completed his Neurology training at the Hospital Prínceps d’Espanya de Bellvitge, Barcelona, Spain in 1992. He spent 1992 to 1995 as a postdoctoral fellow at the Neuromuscular Unit of Good Samaritan Hospital and Oregon Health Sciences University in Portland, Oregon, United States, where he specialized in the study, diagnosis and treatment of neuropathic pain patients, particularly the technique of microneurography. Microneurography can record individual action potentials from single sensory fibers, and it is the only available technique to detect and quantify positive sensory phenomena originating in peripheral nerves in humans. It can produce objective records of the abnormal nerve impulse activity responsible for paresthesia (myelinated fibers) and spontaneous pain (unmyelinated fibers), offering unrivalled opportunities as a tool to study spontaneous pain in humans. He has produced pioneering work on the recording of abnormal spontaneous activity in C-nociceptors from neuropathic pain patients and from animal models of neuropathic pain. His predominant current interest involves correlating peripheral nociceptor spontaneous activity expressed in patients with the perceptual experience of ongoing pain. Dr. Serra’s expertise also lies in the areas of electromyography, nerve conduction studies, evoked potentials, quantitative sensory testing, thermography, and intraoperative electrophysiological monitoring. He was co-founder of the Pain section of the American Academy of Neurology and co-founder and first chairman of the Neuropathic Pain Group of the Spanish Society of Neurology. He is a member of the International Association for the Study of Pain (IASP), the British Society of Clinical Neurophysiology, the Spanish Society of Neurology, and the Spanish Pain Society. Dr. Serra has authored many scientific journal articles and book chapters. He is often invited to deliver lectures and organize courses on neuropathic pain. He also serves as a reviewer for scientific journals (including Brain, Pain, J. Physiology, European Journal of Pain, Molecular Pain, Neuroscience Letters). 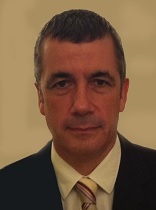 He also serves as Chief Scientific Officer at Neuroscience Technologies Ltd, Barcelona and London. Currently, Dr. Serra is a Consultant in Clinical Neurophysiology at King’s College Hospital, London. Patients with peripheral neuropathy commonly express positive sensory symptoms, such as paresthesias, dysesthesias and different types of pain. As opposed to negative sensory phenomena whose electrophysiological correlate can be readily measured through conventional laboratory methods, the study of positive sensory phenomena is problematic. Recent microneurographic techniques permit recording from individual C-fibers and allow their segregation into different functional classes. Systematic recordings of peripheral nociceptors from patients or from many animal models of neuropathic pain have been performed over the past years. It has become clear that neuronal hyperexcitability in peripheral nociceptors is an important mechanism of spontaneous neuropathic pain as it leads to the generation of ectopic impulses in pain fibers. These ectopically generated impulses contribute a direct afferent input into the central nervous system that leads to the experience of spontaneous pain. Particularly important for the study of neuropathic pain is the recording from mechano-sensitive as well as mechano-insensitive (or silent) C-nociceptors. Different abnormalities have been identified in neuropathic pain patients: spontaneous impulse generation, sensitization to mechanical, heat and cold stimuli, and “multispike” responses. In acquired neuropathy, this phenomenon does not occur in all types of C nociceptors but is restricted to certain types of peripheral C-nociceptors: the mechano-insensitive, peptidergic, NGF-dependent C-nociceptor, whereas in inherited painful neuropathies spontaneous activity occurs in both nociceptor classes.